Don’t buy it. Masterpass it. Launching Masterpass, and positioning a finance giant as a technology leader. When Mastercard expanded into the world of digital wallets, they found a true partner in BNO. Faced with the challenge of creating differentiation in a crowded space, our team set out to recreate the magic of online shopping. 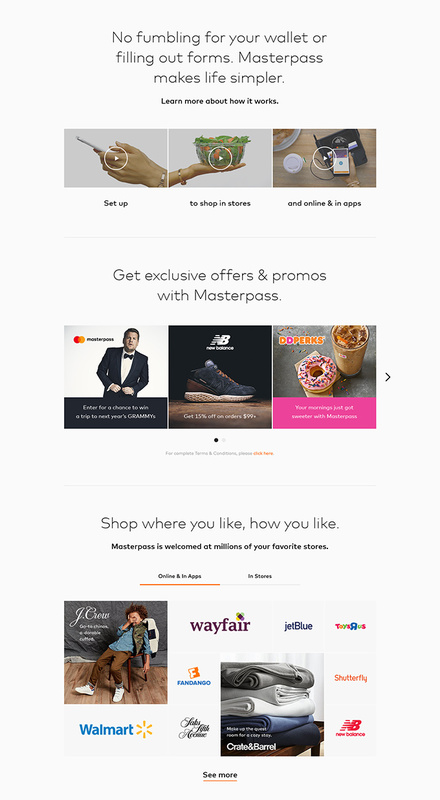 As the digital AOR for Masterpass, we worked with Mastercard to redesign and deploy a branded site for three audiences – Consumer, Merchants, and Issuers, while also providing ongoing site support and management for up to 51 regions and multiple languages. To bring to life key product benefits, including security and convenience, we created a digital experience that emphasized simplicity, seamlessness, and secure connectivity. 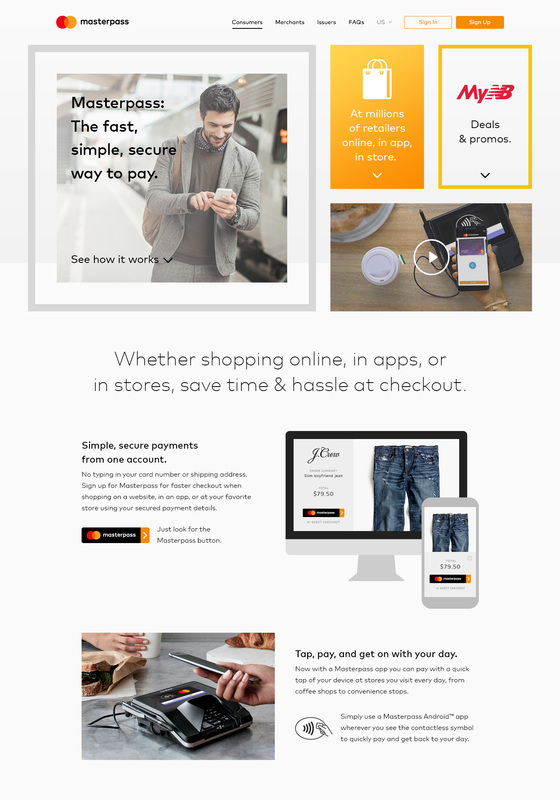 With those principles driving UX, design, and messaging, BNO was able to build a brand identity that positioned Mastercard as a forward-thinking, people-centric technology leader. *Source: Masterpass Website Evaluation Study, prepared by Kantar Added Value.